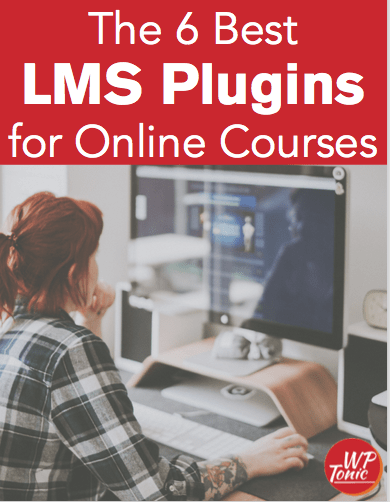 If you own or operate a membership website built on WordPress that uses a WordPress LMS (learning management system) plugin, you’re probably well aware that WordPress issues and problems can crop up with even the smallest update. Our WordPress support team can fix WordPress issues of all shapes and sizes — we are WordPress experts, and we have extensive experience working with WordPress websites, especially those built with LMS plugins. Our WordPress Care Plans are very popular with all our clients because we fix any and all WordPress issues as they arise, and more importantly, we do our absolute best to help you keep WordPress issues from occurring in the first place. You’ll never have to worry about your website being down for long when you sign up for one of our WordPress services, and you can always rest assured that a trained WordPress expert is working on your membership website to get it back on track if an issue knocks your website down. Got a WordPress problem and need help right away? Click the button to contact our WordPress help team now — one of our dedicated WordPress experts will contact you as soon as possible. We provide WordPress help as part of our Care Plan offerings, and we would be glad to talk to you about any WordPress problems you might have and discuss what precisely can be done to fix the WordPress issues you’re experiencing. Simply put, our support team fixes WordPress issues for membership websites of any size — click the button to learn more about the Care Plans available to you, or scroll down to read more details about all the different WordPress problems we help with. “The White Screen of Death” is a difficult situation to deal with calmly, to say the least. Not only does it keep your members from accessing their content, but it also keeps you from logging into your WordPress website as you normally would — you can’t even get into your site to fix the problem! This fear-inducing issue usually happens when a WordPress plugin conflicts with your version of PHP or when some custom coding you have added to the function.php file causes a conflict. Fortunately, as WordPress experts, we’ve dealt with the infamous White Screen of Death many times, so we can quickly fix this problem and get your WordPress site back to normal. Are you getting an odd error code somewhere on your membership website? This WordPress issue can be really daunting — you might struggle to even identify where the code is in the first place. Let us diagnose and fix the problem for you. We’ll do it quickly and efficiently, saving you time and getting your membership site back up and running before your clients know it. 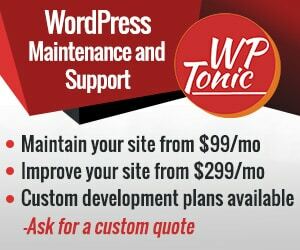 WP-Tonic provides website migration services for WordPress-powered membership websites — if you need to move from one hosting provider to another, we can help you with the transition. The support team of WordPress experts at WP-Tonic can migrate your WordPress website to your new hosting provider rapidly and painlessly. If you’ve already chosen a new host for your membership website, we will happily help you migrate to your host of choice — if you haven’t yet chosen a new host, we partner with several WordPress-friendly hosting companies and can help you choose a host that’s right for you, your members, and their needs. As part of your migration package, we will also configure automated offsite backup, ensuring your data and your members’ content is always safe and protected. Has a recent WordPress, theme, or plugin update changed the look and feel of your website? Is the design you created or paid for broken? Is there a design element that’s just not in the right place? Has a font or color changed or disappeared on a key page? If you’re struggling with these WordPress issues or others, we can help — our support team of WordPress experts will happily diagnose the issue and provide you with a quote to get the issue fixed. Over 70% of people who come to your website for the first time may never return — slow load times on websites play an outsized role in keeping new visitors from having a positive initial experience. When your income depends on adding new members to your membership website, you can’t afford even a slight reduction in speed. If your aim is to create a positive user experience for your members (while keeping them on your site and active), then having a fast website is critical. Having a super-fast site is not only good for user experience: It also makes search engines happy, which is why site speed optimization is part of our SEO service offering. The WordPress problems above are only some of the most common problems we come across — we fix WordPress issues of all kinds on a daily basis, so if you don’t see the particular problem here that you’re running into with your membership site, contact us directly to discuss a custom solution.